Our Computer networking course is designed to provide an overview of fundamentals of modern networking technologies and protocols to practical applications and network troubleshooting. 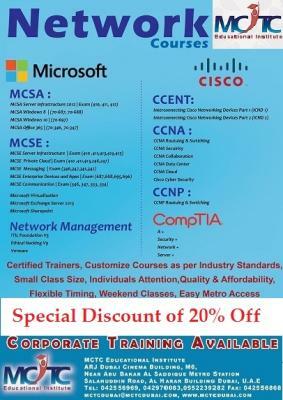 We have introduced 20% discount for all network certification courses. Hurry Up!! Register Today to avail the offer..